PRIVATE STATIC CARAVANS AT BUTLINS, MINEHEAD. THREE CARAVANS ARE AT THE SIDE OF THE LAKE NEXT TO EACH OTHER, THE OTHER'S IN COVE'S NEAR BY. THE CARAVANS ARE LOCATED INSIDE THE BUTLINS, MINEHEAD RESORT. BUTLINS ENTERTAINMENT PASSES ARE INCLUDED. A BUTLINS ADMIN FEE OF £10 APPLIES TO ALL 2019 BOOKINGS (butlins increase this from 48 hours before the break starts). DUVETS AND PILLOWS ARE PROVIDED BUT PLEASE TAKE YOUR OWN BED LINEN. PLEASE NOTE THAT LAKESIDE 14 ACCEPT DOGS (2 maximum per van as per Butlins rules) SO IF YOU HAVE A DOG ALLERGY PLEASE DO NOT BOOK THIS CARAVAN. 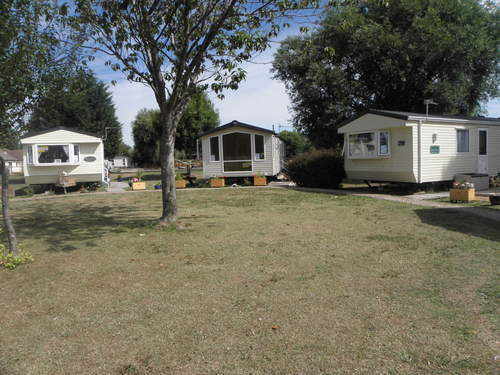 We have private static caravans on the Butlins, Minehead site to hire. Caravans 11, 13 and 14 are sited by the side of the lake in a peaceful and relaxing position with Canada geese and ducks populating the lake and its banks. The others are all in coves nearby. Fishing is permitted on the lake. All the facilities of Butlins are just a few minutes walk away. The West Somerset golf course is right next door to Butlins. Please browse our website for more information. Caravans 11 and 13 are owned by myself, the other caravans are all privately owned by other people however i handle the bookings only on behalf of the owners.. THE INFORMATION YOU SUPPLY TO US IS HELD IN ACCORDANCE TO DATA PROTECTION ACT.WE USE THIS INFORMATION TO FACILITATE YOUR BOOKING. WE ONLY SHARE THIS INFORMATION WITH BUTLINS TO INPUT ON THEIR BOOKING SYSTEM. WE THEN ONLY HOLD THIS INFORMATION FOR TAX PURPOSES. YOUR INFORMATION IS NOT SHARED WITH ANY OTHER PARTY OR COMPANY. YOUR DETAILS WILL NOT BE SOLD OR SHARED WITH ANY THIRD PARTY FOR THE PURPOSES OF MARKETING OR RESEARCH .